I’m a sucker for home improvement projects. There’s always something I want to do around the house. 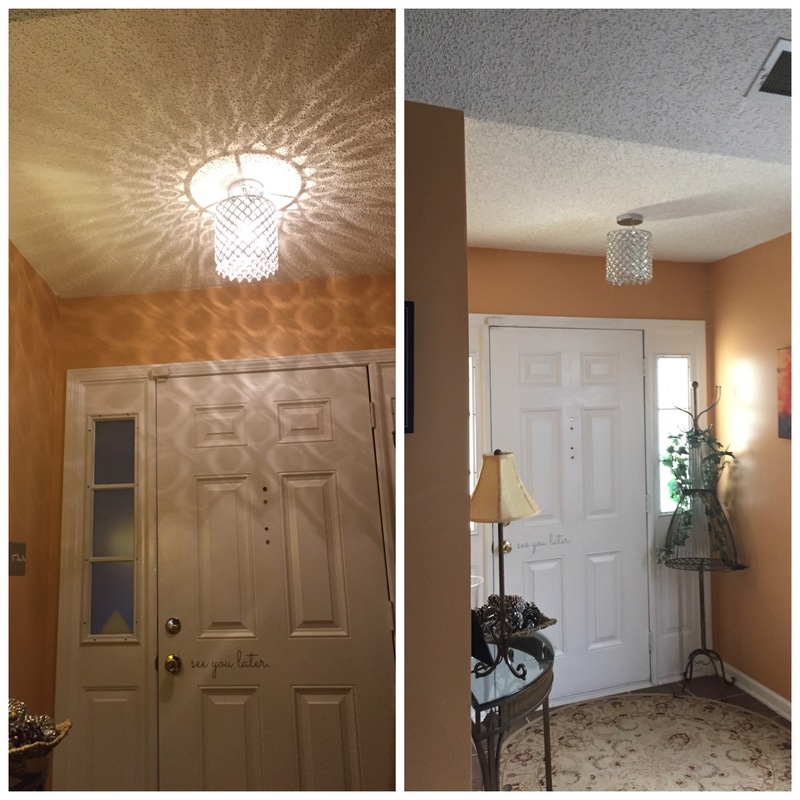 Updating your light fixtures is a quick and easy way to give a room a little pizazz! During a recent Homegoods visit, I found this amazeballs lighting fixture that was exactly what I had been looking for, for my foyer. And by foyer I mean the tiny little area when you walk into my house! I love how it sparkles from the crystals. Now I want to update all of my fixtures! Also, I have to give a shout out to my man for installing it for me! New lighting can be expensive but if you’re a bargain shopper like me, you can always find a good deal! Do you have any quick home improving tips or any fav projects you’ve done?